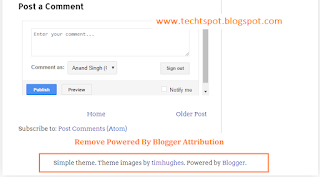 Hello friends, welcome to the Techtspot Blogger tutorial today I will show you how to Get free domain name for Blogger blog with pictures. 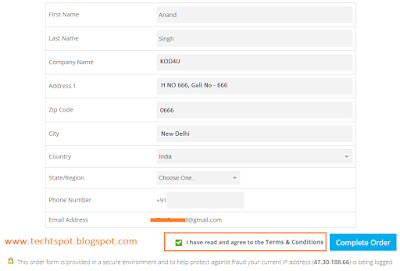 Today we are discuss how to Register Free Domain Name for Blogger, The Blogger provide lengthy with sub-domain URL like " kod4u.blogspot.com ". 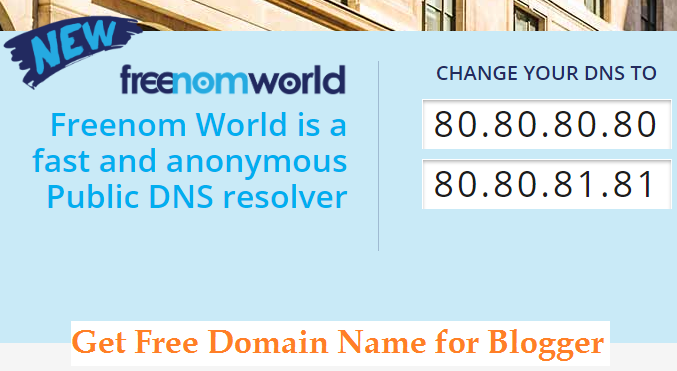 There are two ways to register domain name First is Paid Godady, hostgater and Second is Free Freenom. 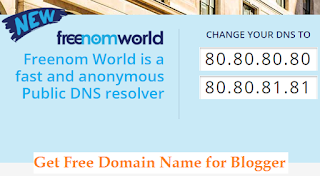 now we get Free Domain Name. Step 1: Go to Freenom website and sign in here. 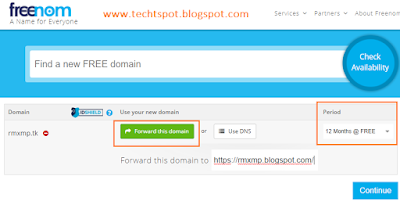 Step 2: Type Domain name in search bar which we register and select one free domain name then click checkout Green button. 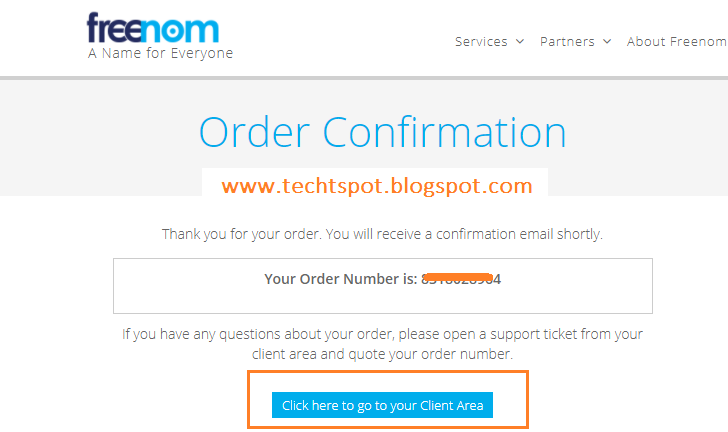 Step 3: We click Forward this domain and paste our third party domain name then select free domain Period and click continue button. 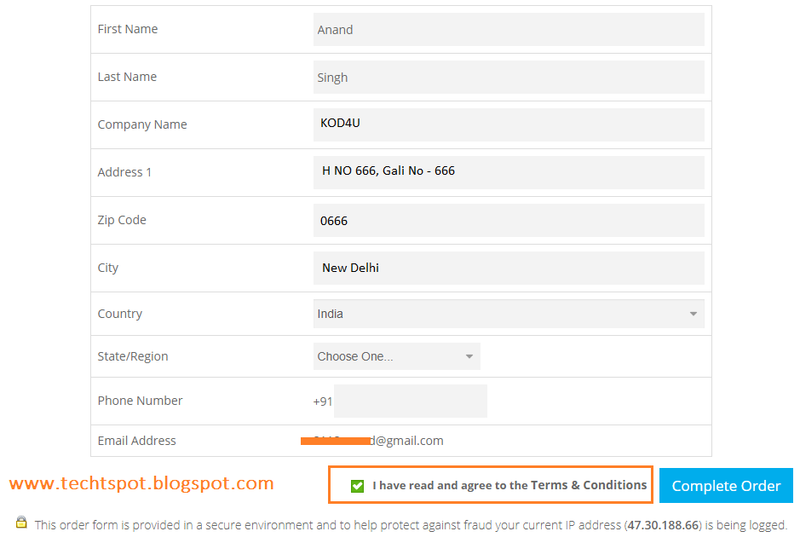 Step 4: Fill some info like Name, Address, City, Country etc and click check mark them click Complete Order button. Step 5: Click the Click here to go to your client Area Blue button. 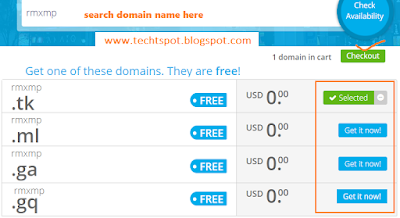 Now your Free Domain is Activate Enjoy this. If you want to see your free domain name user panel. 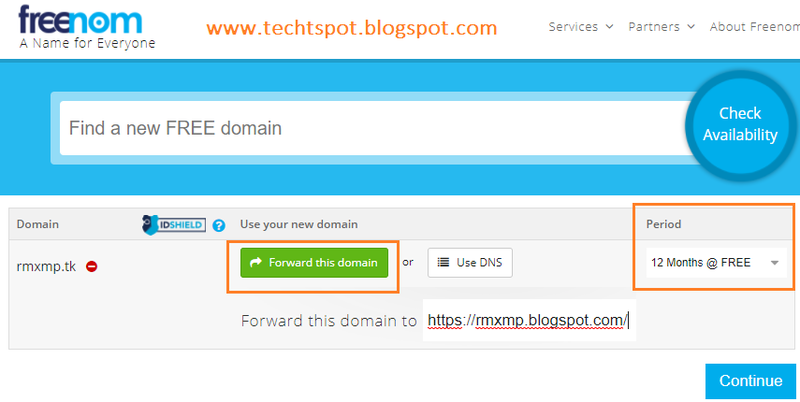 Step 6: Open Freenom home page and click Services then click My Domains option. 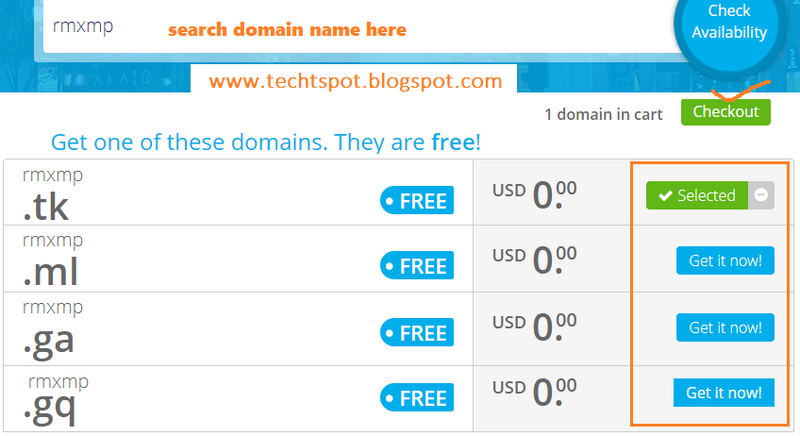 Step 7: In this page you see your Free Domain Status. So do they start charging after that without our consent? thank you for providing such agood article. I appreciate your kind heart boss.